On Wednesday 2nd of December, the Food Research Collaboration hosted the second of four workshops organised by Sustainable Food Cities Network looking at identifying indicators that will help city partnerships and governments to measure their progress towards the design of a more sustainable and secure urban food system. An increasing concern for food advocates is the reconciliation between what they know the power of food to be and the need to prove this reality. There is a growing need to identify qualitative and quantitative indicators that will make sense to local stakeholders – for the advancement of the economic, health, social or environmental agendas – so that food is brought at the very heart of local strategies. It is a crucial step to maximise the efficiency of resource investment at a time of austerity, improve urban food security, and provide informed advice to food policy makers at the local, national and international levels. This is what drove the Sustainable Food Cities Network in partnership with Cardiff University to organise a set of four workshops gathering grassroots stakeholders and academics to discuss the needs and design these indicators. 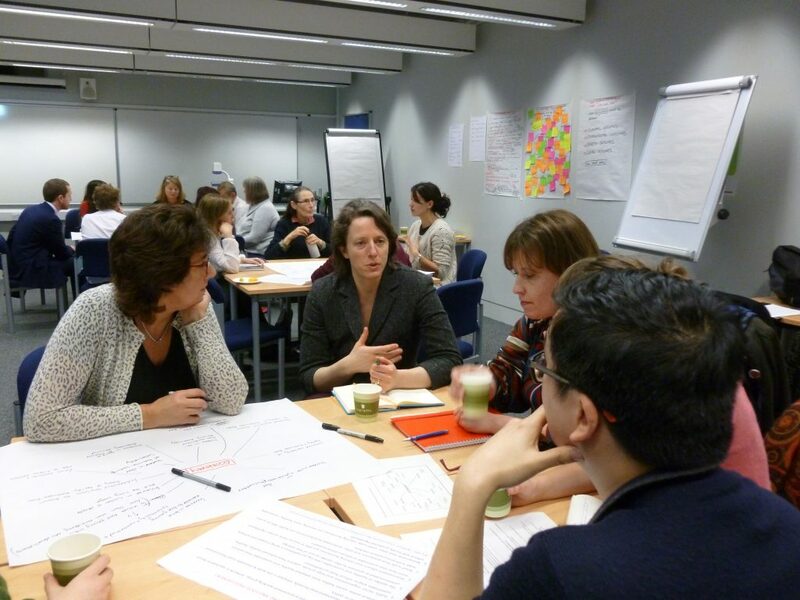 In London, researchers, among which the Food Research Collaboration team, and representatives from various Sustainable Food Cities discussed what would constitute success for sustainable urban food strategies. Dr Ana Moragues-Faus from Cardiff University started the discussion on ‘what makes a good indicator’ by presenting the conceptual framework and the criteria for checking the robustness of indicators. Building on the SMART criteria (Specific – Measurable – Achievable – Realistic – Time-related) participants identified additional criteria such as the need for indicators to be resource light, easy to communicate and relevant to the audience. The afternoon was taken up by group work to identify: first the outcomes or what would constitute success for sustainable urban food strategies around the health, social, economic and environmental themes; and second the indicators that would guide action and show this success.